Skips first appeared in the early 1920’s and have been widely used ever since. They are ideal for storing your waste metal ready to recycling, or for disposing of commercial waste. … When you think of a skip, this is probably what you’re thinking of right? But did you know there’s actually a wide range of skips that are available for commercial hire? From Chain to Hook skips, there’s a number available all to suit varying needs. 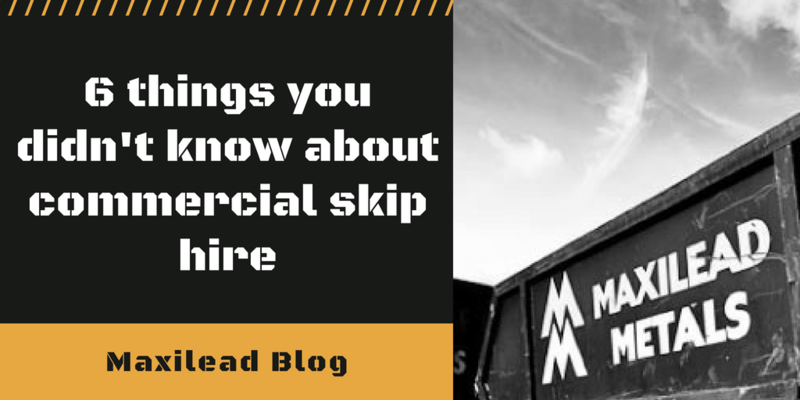 You can find out more about the different skips that Maxilead offer here. As we mentioned above, the usage of skips first started in the 1920’s. They were implemented as Victorian houses began to undergo remodelling. The removal of large parts of the interiors of these houses was required and this led to the need for larger methods of waste storage and disposal. Thus, we begin to see the growing popularity of skips. Though laws are a little looser around the rules nowadays, skips used to have to be painted yellow in compliance with The Highways Act in the early 1970’s. The act stated that skips must be yellow as this is the colour proven to be most visible in the dark. Nowadays, with increasing technologys around night time illumination, skips can be any colour as long as they have some sort of visibility in the dark. Recent figures have shown that around 200 million tonnes of waste is produced annually. With such alarming figures, it comes as no surprise the amount of skips that are hired per year. Skips are ideal for holding all sorts of waste, but we (of course) specialise in metals. Most metals are fully or partly recycle so if you have any on your hands then get in touch with Maxilead today for skip hire or for a recycling quote. There have been many accounts over the years of peoples’ findings from commercial skips. From a WW2 artillery shell to a coffin, the accounts over the years have been eye opening. 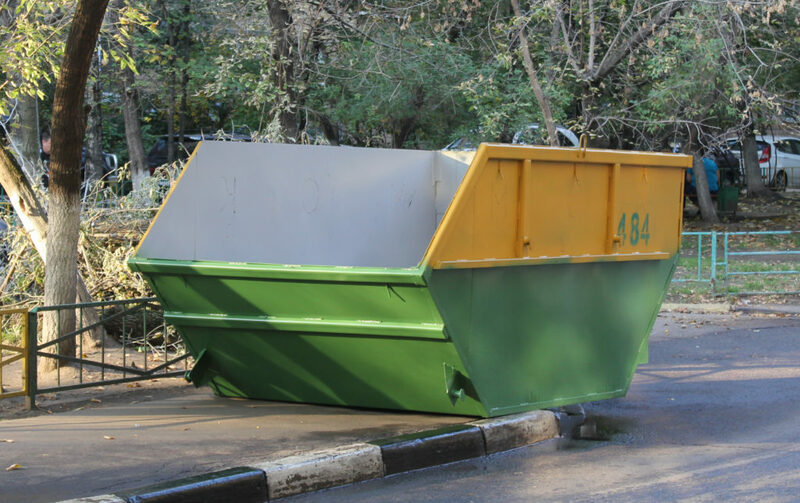 It is incredibly important to check your skip through on the day of its collection as in some circumstances, small animals and even homeless people have been found to be residing in them to shelter from adverse weather conditions. Of course this can be extremely dangerous for everybody involved so it is important that you have a thorough check. To decrease the likelihood of this happening, you may want to look into getting an enclosed, lockable skip. Maxilead can offer you one here. It may surprise you to know that the idea of using a skip to hold large amounts of waste and rubbish originally came from Germany. In fact, the first skips to appear in the UK were actually exported from our European pals. If you’re seeking skip hire or metal disposal in the North West then look no further than Maxilead. Contact us today for a quote or for more information – we’re always happy to talk! ← What options are there for recycling in the North West?